So I began to work on my pottery projects again. I started with a recent purchase of English Porcelain clay. 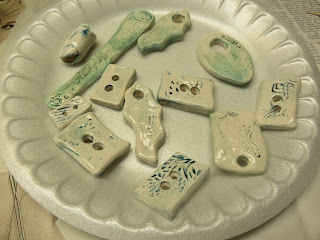 I rolled out my clay and used some routine clay cutters to make my beads and buttons. 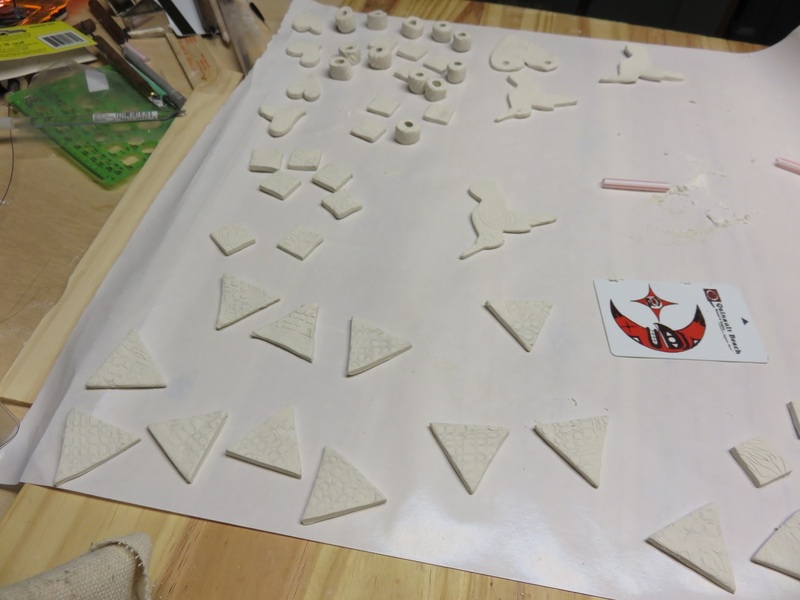 I also cut out some pendants as well. I spent a lot more time rubbing my clay smooth, but I've realized that if you spend more time doing this at the very beginning you have less work to do when the pieces are leather hard. Also I was reading somewhere that you don't have to fire your porcelain to cone 10 for the bisque stage every time, and it makes it easier to glaze if you fire somewhere lower, in this case, I fired to cone 06. 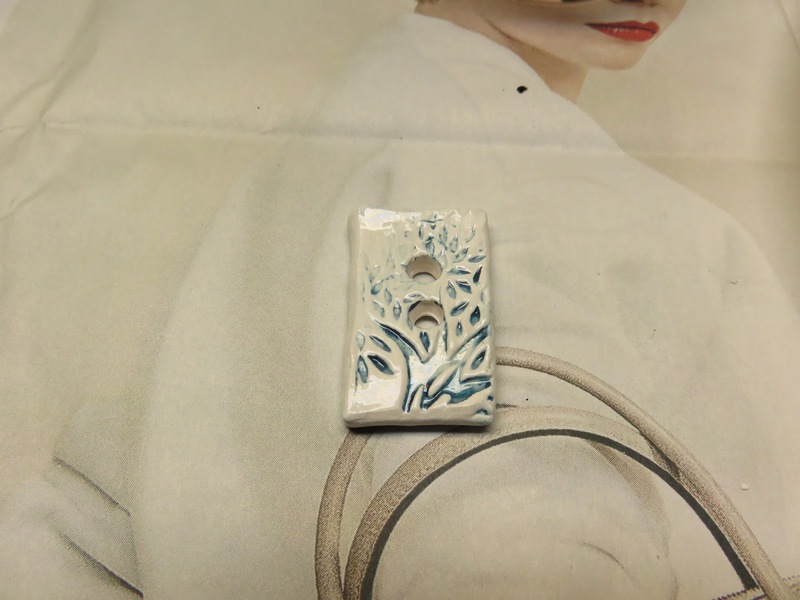 After firing I applied 3 coats of white underglaze. 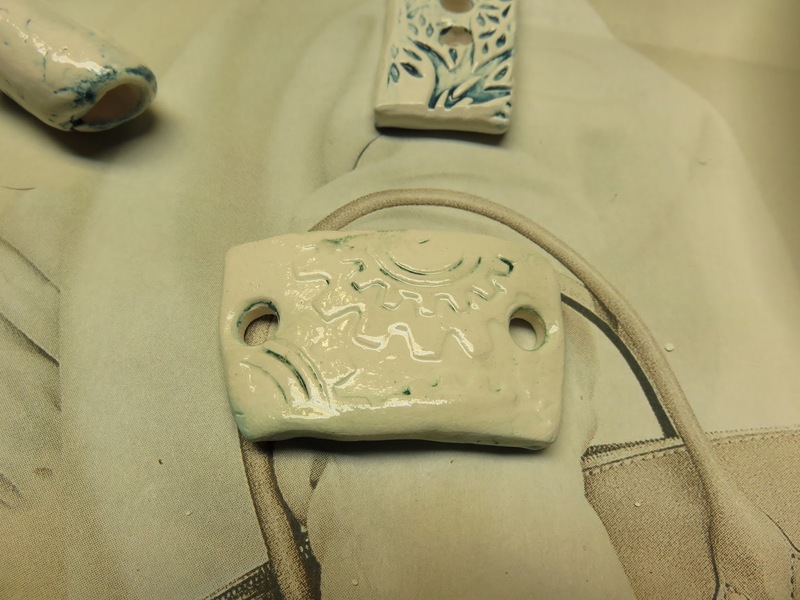 I then brushed on one coat of Amaco Velvet Underglaze teal or blue, and then wiped it off. I love the silky white color of my buttons with the dark blue wash faintly lingering. However, at this stage, I made a mistake. 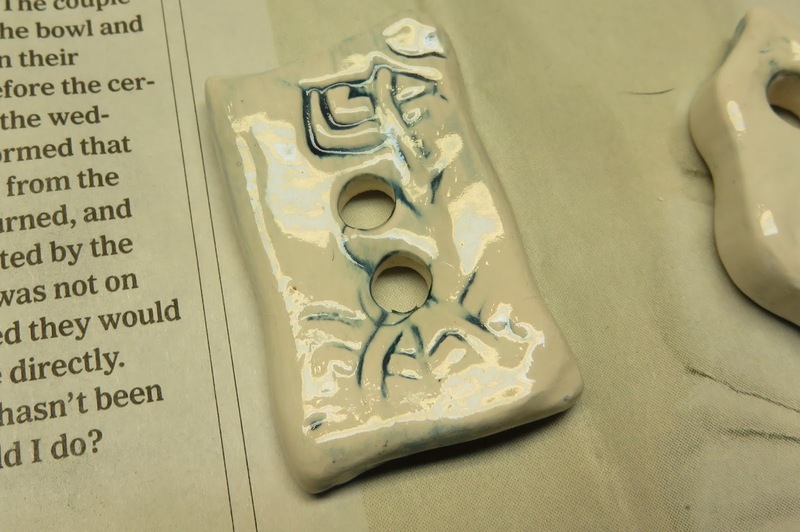 I wiped away too much of the darker glaze. 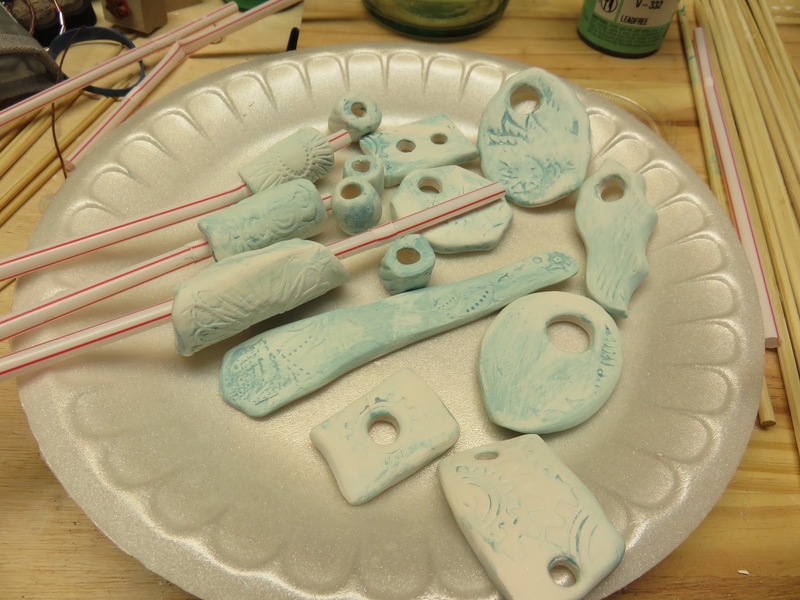 Some pieces came out ok, and some did not. I should have gone back in and added more detail. I added Duncan crystal glaze and then fired to Cone 06. 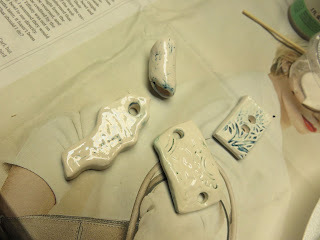 Barring the imperfections I mentioned above, my buttons and pendants came out beautiful.